On April 1, 2017, the most anticipated new season of Attack on Titan aired on Japan with simultaneous cast online streaming sites (such as Funimation) and on Tribe. We waited 4 years for the next episode and so many rumors and disappointments (due to cancellations) within those years but all I can say is (I know it sounds cliche)…it’s worth it! 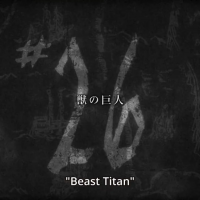 The 26th episode or Episode 1 of season 2 is about the Beast Titan. 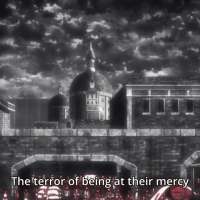 As we all know, on the previous season, Eren, Mikasa and Armin went inside Wall Sina to deal with Annie Leonhart who happens to be the female titan. 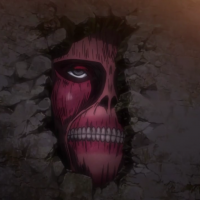 While cleaning up on the damages inside Wall Sina, Hanji Zoe and the soldiers found a face of a titan peeking on the hole on the wall (one of the damages on Julie and Armin’s titan fight). It seems like the eyes had moved but Pastor Nick, one of the church leaders, asked them to make sure that the sunlight does not hit the titan. 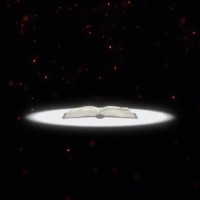 Unfortunately, we will not be able to get all answers in this episode especially the hard-headed pastor stood by his principles in protecting the secret why there’s a titan inside the wall. 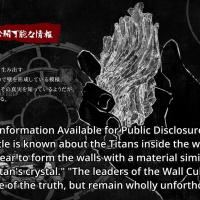 As per Hanji, it is possible that all walls are made of titans. That’s a grim secret if it is true. 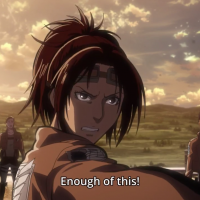 While everyone is thinking about that fact (and Pastor Nick trembling on the side because of what Hanji did to him), a soldier came rushing towards them in a hurry because Wall Rose has been breached. 12 hours before that, Connie, Sasha and the others were kept inside Wall Rose, inside the garrison, doing nothing and for some reason, they were not allowed to wear their uniform and gears. Connie’s town us just south of the garrison and Sasha’s on the opposite and out of boredom, they talked about how Sasha was told to not come home until she is “normal” and Connie said they told him he was puny to be a soldier. When Sasha laid her head on the table, she told them she heard foot steps but no one believed her. Just outside, Miche smelled the titans 500 feet away from them and everyone was instantly instructed to go to nearby towns and alert them. It seems like the titans came from south of the garrison, which means the titans have been to Connie’s town and this devastated him. 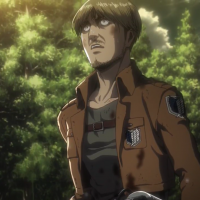 What I find so surprising in this episode (Hajime Isayama sure did a great job starting the second season this way) is that it seems that when the titans smelled the soldier, it sparked something inside them that made them become an abnormal titan running towards the soldiers. Around 5 titans walked towards them and out of the woods so Miche has to stop them. As the other higher ranked soldiers said, he’s second to Levi. What came to my mind is that there must be a huge gap between Levi because when the reporting soldier told Levi and Erwin that Miche was there with the others and he can handle it, Erwin doesn’t seem to believe in Miche’s capabilities. 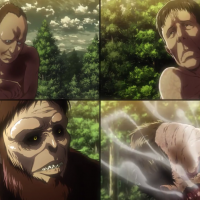 After destroying the other titans, Miche was still concerned about the tallest titan that looks almost like an ape because it is full of fur but it was not attacking him. 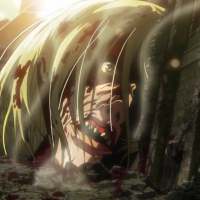 When he called out his horse, he was surprised that the beast titan grabbed his horse and threw it at him, which made him fall from the roof into the mouth of the small but big headed (literally) titan. 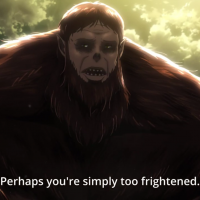 To those who decided not to watch the manga version or other spoilers, it must be very surprising when the beast titan talked to Miche straight out just like a normal human being. The other titan on Ilse’s diary only talked few words but his one talked straight sentences. Actually, more like questions, because he kept on asking Miche and Miche just sat there staring at the titan with his jaws dropped. If it were Levi, I doubt it that he will react that way. 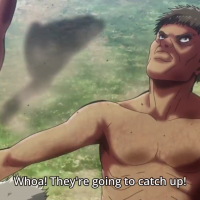 The beast titan only took Miche’s 3D maneuver gear but because of his pride where he previously told his subordinate that only when a person stops fighting do they lose, he picked up his sword and let out a shout ready to attack the titan. Personally, I raised an eyebrow on this guy because one, he doesn’t have 3DM, a soldier without a 3DM is a dead man on this world, two, there are still several tall, hungry titans besides the beast titan. Lastly, he’s injured. It’s a very foolish thing to try and fight when you’re on a losing end. Unless he turns into a titan, of course. 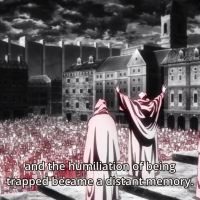 The beast titan commanded the other titans that they can freely attack and eat so Miche cried instead of letting out the raging shout he had before when the titans feasted on him. 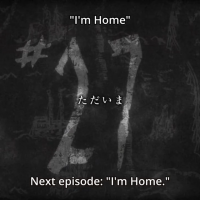 The next episode will be a week after the first episode is aired and I’m so looking forward to the next episode! I’m sure everyone who waited 4 years can wait another week. 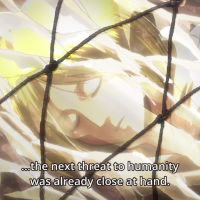 Anyway, did anyone else notice that titan who is crossing his arms on his chest? 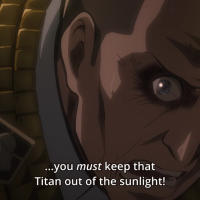 Looks kind of a “humanly” attitude and less of a titan, don’t you think?